Speedo Air Cooled Cooler is engineered specially for use in equatorial and tropical climate conditions to reduce the temperature of a chamber so as to satisfy technical requirements and improve working efficiency. 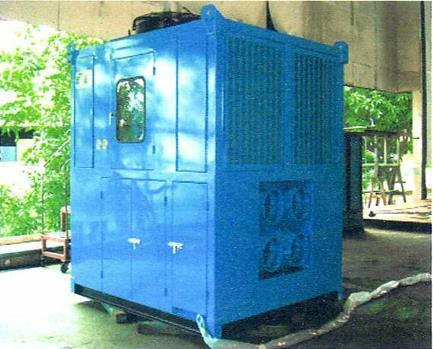 An effective ventilation method to reduce toxic/hazardous gas for prevention of accident occurrences, its cooling effect improves the working environment and enhances working productivity. The unit comes complete with a specially designed control panel and can be easily transported by crane or forklift.